About Us | Products To Simplify Your Life | KEMF Inc.
KEMF Life Simplified, is an innovative manufacturing firm that develops products that reduce or eliminate maintenance around the home. It has developed and marketed outdoor heated mats to melt snow as well as a revolutionary gutter guard to eliminate gutter cleaning. KEMF ‘s vision is to promote and distribute these products through their chain of distributors. KEMF also promotes other maintenance free products such as with Spectralight UV for pools, and Pelican Water filtration Systems. K E M F Inc. produces and distributes life simplifying products that improves quality of life and free up valuable time to spend with the ones you love. K E M F Inc. will continue to keep this focus for all future products and it welcomes new and creative novelties that will improve our lives and reduce our costs of maintenance while also being environmentally conscious. K E M F Inc. has been growing rapidly year after year as its products gain popularity. Installations have been done all over the province of Quebec, namely Montreal and vicinity as well as outlying areas such as Sherbrooke, St. Lazarre, North Hatley, Mont Tremblant, Quebec City, St. Anne des Lacs, Roberval, and many more. 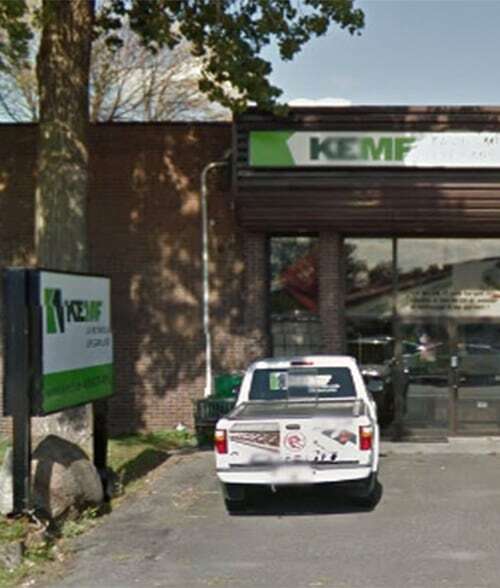 K E M F Inc. is now actively seeking companies or individuals that would be interested in representing us to distribute and install our various products around this province and adopt K E M F ‘s philosophy and take on the challenge. HOT-blocks are outdoor industrial heated mats that keep walkways and stairs safe in inclement weather. More versatile than simple rubber mats, these mats have heating elements designed to melt away snow. UV-protected and inter-connectable, HOT-blocks™ can be used on stairs, doorways, handicapped ramps, and alleyways. These Canadian-designed mats can be used in high traffic areas where it’s most important to minimize slip and fall risks. TEK-Mesh Gutter improvements are just one of many ways KEMF Life Simplified Inc. helps simplify the homeowner’s life. With Tek-Mesh gutter protectors, your gutters will protect your walls, foundation, and landscaping better and longer, and you’ll have more time to enjoy your home. Pelican Water Systems make the water from your tap taste better than bottled water. The water filtration systems are designed to remove both unpleasant tastes and odors, resulting in clean, clear drinking water. An optional UV filter can also be used to ensure that any bacteria are eliminated. HOTflake Canadian designed, HOTflake™’s anti-slip, inter-connectible heating mats are manufactured in 100 percent virgin, moulded SBR rubber. The patented, waterproof heated wiring embedded within the mats melt snow and ice ON CONTACT, thereby protecting you from slips and fall accidents. Spectralight UV No more chlorine, bacteria and algae in your pool water! SpectraLight™ Ultraviolet is a revolutionary water treatment system for easy maintenance of your swimming pool.